Art Plumbing, AC & Electric provides duct cleaning and sanitizing services. 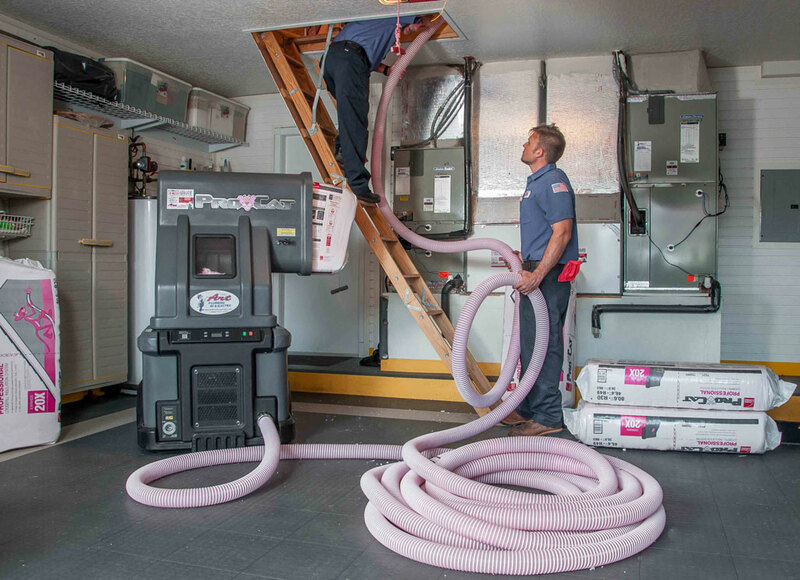 Most homeowners don’t realize what a necessity duct cleaning is when it comes to improving indoor air quality simply because they can’t often see what’s going on inside the air ducts of their home. The air ducts of your home are a natural breeding ground for mold and bacteria, and duct cleaning should be a regular home maintenance investment to ensure no harm comes to your home’s indoor air quality. Just think about all the dust, pet dander, pet hair, pollen, and other particles of air pollution that may be clinging to the walls of your air ducts, especially if you don’t have an air filtration system installed. 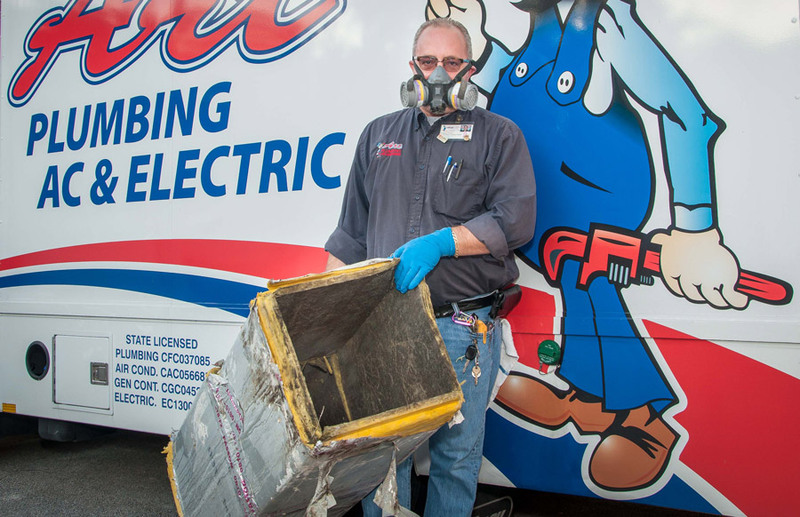 It’s time to schedule your duct cleaning with the experts at Art Plumbing, AC & Electric! Many air conditioning problems, especially those related to a lack of energy efficiency, are related to the ductwork of the HVAC system. At Art Plumbing, AC & Electric our technicians specialize in duct repair, renovations and duct design. We recommend having at least one check up for your ductwork annually. This way, you’ll know you’re running the most efficient system possible. Leaking ducts can mean you’re wasting up to one-third of the energy you’re trying to use for cooling. We inspect for damage, deterioration and proper ducting size to specific rooms. Sometimes we find that the sizing is wrong and restricting air-flow. You may want to consider renovating your ducts if you’re experiencing any energy cost problems, or if you’re installing a new air conditioning system. Older ducts weren’t installed with energy efficiency in mind. If you have ducts that are more than ten to twenty years old, you’re probably experiencing at least some energy loss. If you’re noticing major problems with your cooling unit, duct renovation may be the answer. Unfortunately, most homeowners are unaware of the importance that a well-designed, properly functioning air return system has in assuring correct air circulation. Air return vents are necessary to prevent a buildup of pressure in the structure that may lead to various health problems, as well as preventing mold and mildew, and deterioration of the structure due to moisture buildup. 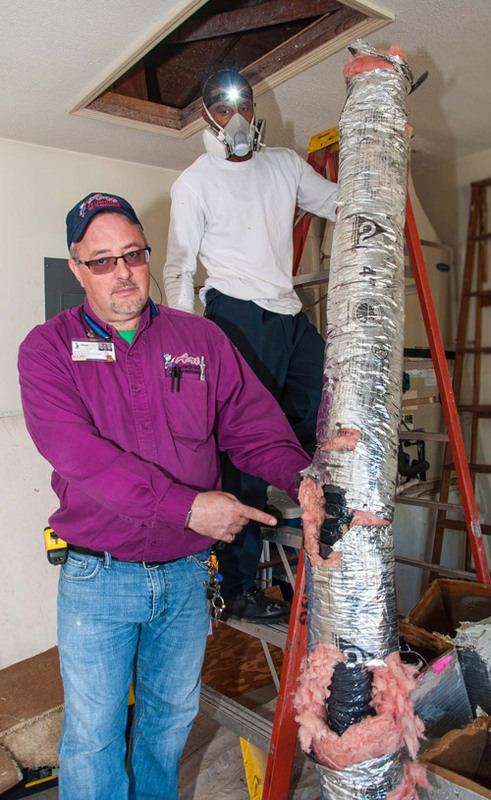 Another reason to consider a duct renovation is modern sizing practices. Ducts are now installed with careful calculations regarding size. This way your ducts distribute cool air much more efficiently. The size, location, and length of heating, ventilating, and air conditioning (HVAC) registers and ductwork are determined by measurement of air movement at cubic feet per minute (CFM). Whatever the CFM output of the heating or cooling system, the air return vents must be able to provide the same CFM ratio. With sizes based on the square footage of your home, you’ll notice the difference in the way that they cool and how much money you save on energy. Whether you have an older system of air ducts that need repair, or you are looking to upgrade your cooling system and require duct replacement and design, you can rely on our team of air conditioning specialists to get the job done efficiently and professionally. 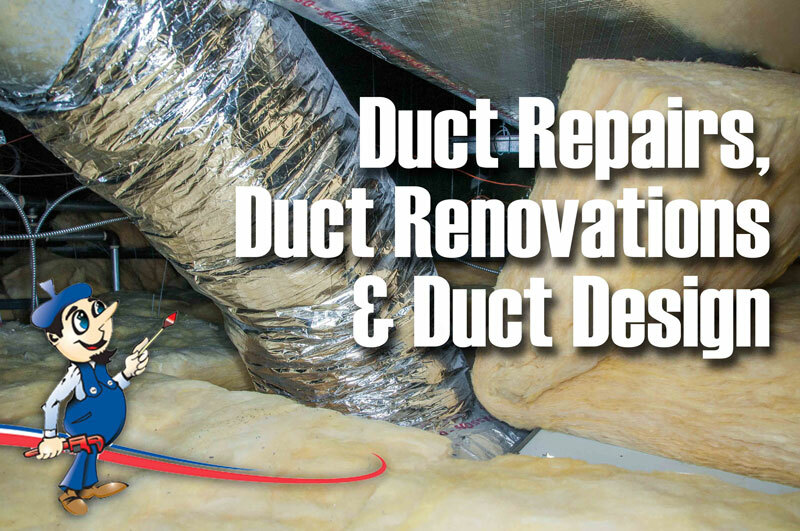 Call us to have an inspection of your ducts, and we can discuss your options. When was the last time you actually gave any thought about the duct system in your home? The most common issue we find during Duct System Evaluations is duct leakage due to improper sealing of the duct connections, or connections that have just deteriorated from age. 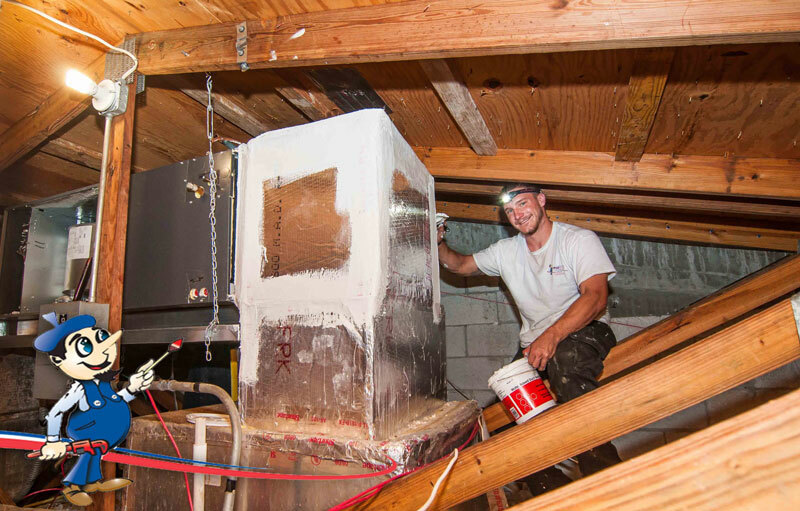 Most of the duct systems here in South Florida are all in the attic, and a typical attic will run about 140 – 150 degrees on a hot summer day. Think about that for a moment, those connections have been sitting in that kind of searing heat for 5, 10 or 20+ years. As with anything mechanical, they can probably use a little TLC. There are several methods for repairing these connections, the most effective being ArtieSeal™. ArtieSeal is a process that allows you to make the most out of your existing duct system by tackles leaks from the inside out. Briefly, the process puts escaping air under pressure and causes polymer particles to stick first to the edges of a leak, then to each other until the leak is closed. All the supply grills are removed and sealed off using a 2” thick Styrofoam block. The duct system is then pressurized and tested for air loss, providing us with a baseline for improvement. The patented sealing material is then injected into the duct system and will seal holes up to 5/8” in diameter. After the seal is performed, we then conduct additional tests to demonstrate to our clients how much of an improvement we’ve made to the duct system. The typical duct system we initially test is losing 300-500 CFM (cubic feet per minute) of air, and we have seen CFM loss reduced to as low as 19 CFM with the ArtieSeal™ process. If you’d like to learn more, contact one of our Comfort Consultants today and we’ll be happy to investigate and locate the hidden problem areas in your leaky ducts. We’ll properly diagnose your system, providing you with a cost-effective solution to your duct issues. ArtieSeal seals up the leaks, the wasted money, and the hazards of inefficient ductwork. Attic insulation is needed to help your home be more energy efficient as well as healthier and cleaner in terms of indoor air quality. Batted fiberglass insulation is what was popularly used years ago, and may not address your home’s heating and cooling needs adequately. Proper insulation can reduce air conditioning electrical usage by 20-30%. 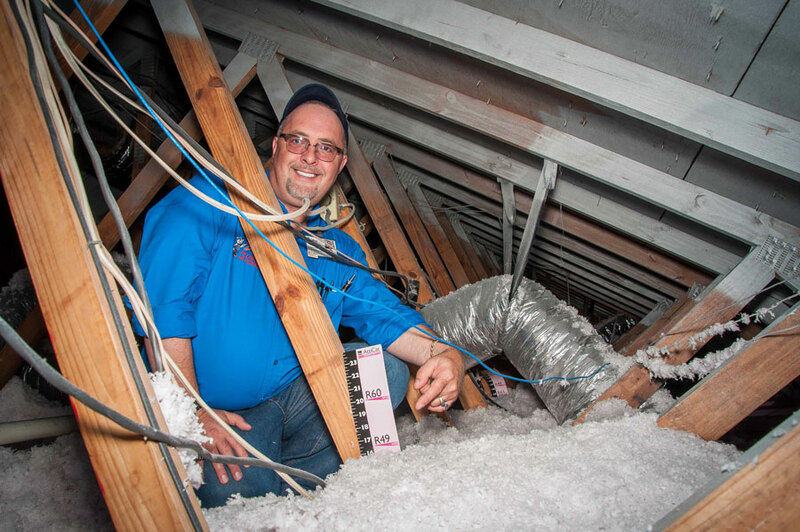 At Art Plumbing, AC & Electric, we provide a variety of attic insulation and renovation solutions that take your home’s specific structure and energy efficiency needs into consideration. Let our Home Comfort Consultants help you get the right insulation for your home and budget, and eliminate drafts and energy loss today. Here in South Florida, the benefits of attic radiant barriers include both dollar savings and increased comfort. Without a radiant barrier, your roof radiates solar-generated heat to the insulation and ductwork below it. The insulation and ductwork absorbs the heat and gradually transfers it to the material it touches, principally, the ceiling. This heat transfer makes your air conditioner run longer and consume more electricity. A radiant barrier blocks 65-75% percent of the ambient heat radiated down by the roof so it can’t reach the insulation. In summer, when your roof gets very hot, a radiant barrier cuts air conditioning costs by blocking a sizable portion of the downward heat gain into the building. In the warm spring and fall, radiant barriers may save even more energy and cooling dollars by increasing your personal comfort. During these milder seasons, outdoor air temperatures are comfortable much of the time. Yet solar energy still heats up your roof, insulation, attic air, and ceiling to temperatures that can make you uncomfortably warm. An attic radiant barrier stops almost all of this downward heat transfer so that you can stay comfortable without air conditioning during mild weather. In Florida, computer studies conducted in the development of the Florida Model Energy Code indicate that a typical attic radiant barrier installed in a Florida home will offer a six to seven year simple payback and a 15 percent to 19 percent return on investment. Call Art Plumbing, AC & Electric today and let one of our Home Comfort Consultants show you how your home can become more energy efficient. In response to significant changes in residential energy codes and standards, the United States Environmental Protection Agency (EPA) released a new set of guidelines in 2006 for ENERGY STAR qualified homes, requiring Thermal Bypass Inspections. The Thermal Bypass Inspection is required for an ENERGY STAR certification and can contribute to points within the Energy-Efficiency section of the NAHB Green Home Guidelines. This inspection is designed to check for missing or incorrectly installed insulation and sealing of penetrations and air gaps. Reducing thermal bypasses is important as they can lead to comfort and warranty issues as well as higher utility bills. A Thermal Bypass Inspection consists of a 23-point list of building details where thermal bypass, or the movement of heat around or through insulation, frequently occurs due to missing air barriers or gaps between the air barrier and insulation. The Thermal Bypass Inspection must be completed by a certified home energy rater in order for a home to be qualified as ENERGY STAR. Give Art Plumbing, AC & Electric a call today to schedule your Thermal Bypass Inspection. Got rats in your attic? Art Plumbing, AC & Electric can help! South Florida attic rats are very dangerous. They must be removed as soon as you realize there is an infestation. Pests like rats and squirrels can be found in a number of different places within a home, including the attic and the crawl space. One of the best methods for dealing with the problems caused by these rat infestations include attic cleaning and crawl space cleaning. There are occasions when our experts must remove squirrels or rats from attics and the damage is so severe that attic decontamination is required. Rodent cleanup frequently calls for the need to remove the insulation first to find some of the rodents’ hiding places. Attic insulation removal performed by our experts can reveal the nests where the rats or squirrels are hiding. We then decontaminate the area where the rats and squirrels live. If you smell rat feces when you are walking through out your house you have a rat problem. Rat feces and urine cause damage to exposed areas. More importantly, rodent urine crystalizes and becomes airborne, potentially exposing humans to hantaviruses. The disease spreads by breathing in dust that is contaminated with rodent urine or droppings, or coming in direct contact with rodents or their urine and droppings. In many cases rats make a nest in the attic where it is nice and warm. In some situations the ducts are damaged or breached, and rat related diseases are pumped throughout the ventilation system. We can restore your attic to a healthy level and eliminate the smell of rats in your home. Rat proofing can sometimes require several different strategies. Our rat control professionals first ensure the area is properly sanitized, and that nothing in the affected area is attracting the pests or causing health issues. Once the area is properly sanitized, there are several options for controlling the rats and pests. Homeowners requiring attic rat removal need to ensure they engage the services of a company that provides thorough attic cleaning and restoration. Our pest control professionals will perform attic insulation removal to expose the pests’ hiding places. Art Plumbing, AC & Electric has been performing attic rat removal in South Florida since 1983. We can remove the attic rats, restore the attic surfaces and then replace the insulation once the pests have been removed. Our professionals know that rats and pests can get into crawl spaces as well, because they are attracted to the warmth and moisture of these places in the home. 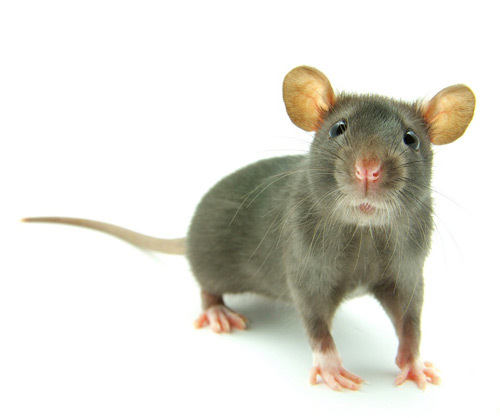 Rats also enjoy being protected from the elements, and crawl spaces provide this protection. Cleaning the crawl space is the best way to ensure these pests are driven out of their hiding places.